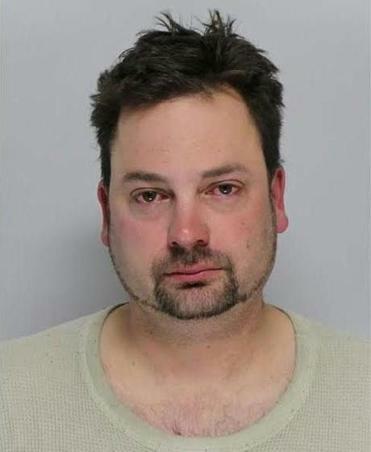 Jason Theriault, 33, of Hudson, is facing a second OUI charge for fatal crash in Framingham. WOBURN – Middlesex County District Attorney Marian Ryan has announced that Jason Theriault, 33, of Hudson, was arraigned today in Framingham District Court on charges of operating a motor vehicle under the influence of alcohol, 2nd offense, and motor vehicle homicide while operating under the influence of alcohol in connection with last night’s fatal pedestrian crash in Framingham. The alleged collision resulted in the death of Patrick Stratton, 24, of Framingham. Judge David Cunis set bail at $5,000 cash and ordered the defendant not to drive, to not use alcohol or drugs, and to be subject to random screens. The next scheduled hearing, in this case, is Tuesday, February 9. At approximately 8:00 p.m. Framingham Police responded to a report of a motor vehicle crash at the intersection of Route 9 and Prospect Street in Framingham. Upon arrival authorities found the victim deceased. The alleged suspect remained at the scene of the incident. This case is being investigated by the Framingham Police Department, the Massachusetts State Police, and the Middlesex District Attorney’s Office. The prosecutor assigned to this case is Assistant District Attorney Nils Lundblad. The Victim Witness Advocate is Rani Scott. This entry was posted in DWI arrest photos, DWI Arrests by State, injury or death, repeat offender and tagged Assistant District Attorney Nils Lundblad, Framingham Police, Framingham Police Department, Judge David Cunis, Middlesex County District Attorney Marian Ryan, Patrick Stratton, the Massachusetts State Police. Bookmark the permalink.